LA TRINIDAD, Benguet – The Provincial Mining Regulatory Board (PMRB) approved the request of thousands of small-scale miners and gold panners for the processing of the mine ore that have been stored in their working areas mostly in Itogon town prior to the issuance of the stoppage of all small-scale mining activities regionwide to allow them to have a temporary source of income while awaiting the processing of the permits for the declaration of Minahang Bayan sites. PMRB chairperson and Mines and Geosciences Bureau – Cordillera (MGB-CR regional director Engr. Fay W. Apil explained that the approval of the request of pocket miners and gold panners for the processing of their mine ore will not be immediately executory because there will still be meetings that will be called for the purpose of threshing out issues and concerns relative to the way the processing will be undertaken. Earlier, Environment Secretary Roy Cimatu referred to the PMRB the urgent request of pocket miners and gold panners in Itogon seeking approval of their petition for the agency to allow them to process their mine ore that they were able to store prior to the issuance of the stoppage order so that they will have the necessary income that will sustain the living condition of their families while awaiting whatever interventions that will be provided by the concerned government agencies and the local government to uplift their status. 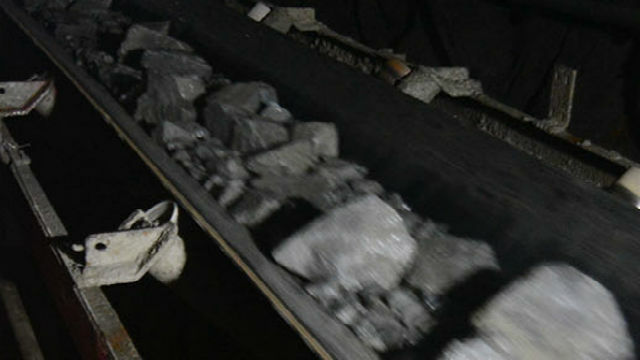 “We will first have to conduct an inventory of the mine ore that are stored in the working areas of the different small-scale miners associations so that we will be able to determine the actual volume of the stockpile and allow us to determine the number of days by which the associations will be authorized to process their ore by their ball mills or sluicing,” Apil stressed. The MGB-CAR official asserted that carbon in palp (CIP) and carbon in letch (CIL) mode of processing the mine ore will not be allowed because it is where the miners will use hazardous chemicals such as cyanide to extract the gold from the ore, thus, the PMRB will not allow any hazardous modes of extracting gold from the ore to help in preserving and protecting the environment in the area. She emphasized that the PMRB favourably acted on the petition of pocket miners and gold panners for the processing of the mine ore that they have stored in consideration to their plight to have a temporary source of income while availing of whatever assistance that will be extended to them by concerned government agencies and the local government after the issuance of the stoppage order for all small-scale mining activities regionwide to prevent the occurrence of similar landslide incidents like what happened to Level 070 in Ucab, Itogon town at the height of Tropical Cyclone Ompong. On the other hand, Apil claimed that there is already a directive from the DENR central office for the fastracking of all Minahang Bayan applications in the region so that there will be declared Minahang Bayan sites that will serve as a means to legalize the operation of small-scale mining for them to comply with the pertinent requirements that will serve as their sustainable source of livelihood, thus, the need for applicants of the declaration of Minahang Bayan sites to start seeking the endorsements of indigenous peoples groups through the conduct of the required free and prior informed consent (FPIC) for the eventual processing of their desired permits.